We get many requests each week from guests on the most scenic roads to travel while visiting Greenwich. Everyone has different focuses they want to see while they’re here. 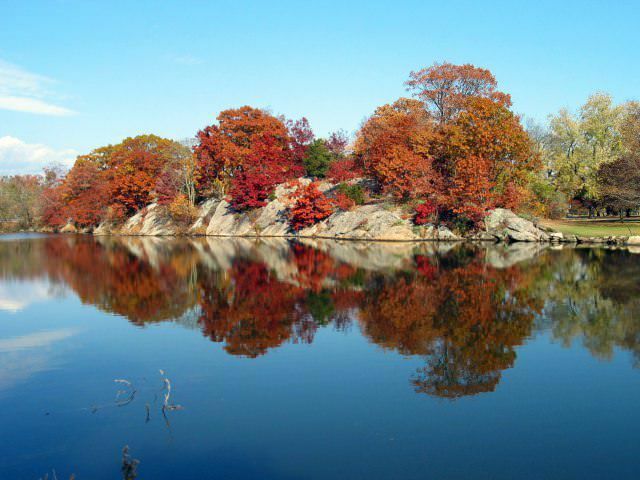 From leaf peeping in CT to enjoying Greenwich beaches to visiting New York City. The most common request we get from visitors is what they think of Greenwich as. Which is the many Greenwich homes ranging from palatial country estates to typical large houses and other such mansions in Greenwich, CT. Greenwich real estate is definitely a topic of interest for many of our guests and visitors. That’s especially after the appearance in the news of one of the most expensive Greenwich mansions for sale. Luckily for them, Greenwich has many options as far as back roads with large homes and mansions. 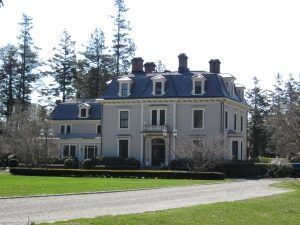 This is an abridged list of my favorite back roads to bike or drive, as they include both beautiful Greenwich mansions as well as historic New England homestead homes. While the farms of back Greenwich have largely been subdivided, visitors can still see the old rock walls and apple orchards of the old homesteads and get a taste for Greenwich history. While trespassing is not encouraged, there are still a few apple orchards near NYC that welcome visitors, by the way. Many of these roads are also historic ones leading into the hills of Westchester, selected because they traveled inland (and uphill) with a gentler slope, hence walking or now biking is not quite as arduous. 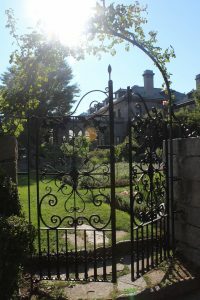 For more recommendations on where to see the biggest Greenwich, CT, mansions and things to do in Greenwich, Connecticut and nearby, be sure to download our free map of Greenwich, CT.
My first choice can be done as a complete route. From the Stanton House Inn, drive over to Glenville neighborhood before heading north on Riversville Road. Riversville Road is beautiful. As the name implies, it follows the Byram River for a significant part of its trip before it heads uphill to reach the small village of North Greenwich and the Audubon Preserve of Greenwich. Continue driving up Riversville into New York State to reach Route 22 in Armonk, New York and turn right onto Creemer Road and follow that back down into Greenwich where you’ll meet Roundhill Road. The northern part of Round Hill is my favorite stretch of road in Greenwich. It’s on a high ridge, so the beautiful historic homes, country estate Greenwich mansions, and open fields are complemented by open views of the surrounding hills. Supposedly, this point is high enough to see the Manhattan skyline of New York City, and this point was a fort during Revolutionary War times. Once you’re up at the northern end, it’s also a downhill slope back towards town, which also makes for a great trip by bike. This route also gives you a chance to catch a glimpse of one of the most haunted places in CT, Dunnellen Hall. Other runners-up in town include Lake Avenue, which is not as high but has plenty of beautiful Greenwich mansions along it. North Street used to be a scenic drive from the Merritt Parkway into town, but years of building-up of prime real estate in Greenwich has created a road lined with some beautiful historic homes but mostly imposing Greenwich mansions covering most of their allotted property, with high walls and hedges along the road and a significant amount of traffic. North of the Merritt Parkway, North Street reverts back to how the length formerly appeared in Greenwich history–open fields, estates on expansive pieces of property, forests, and even a polo field. Taconic Road from North Street to the New York State border is a bit more reminiscent of North Street with many historic Greenwich houses, though not as heavily traveled by cars. If you attempt to drive a bit of all these roads in one drive, it would need about an hour of driving up and back the length of Greenwich. A bike would require a rather excruciating and tiring day. These roads are all excellent to enjoy some great leaf peeping in CT and lead to trails for some of the best hiking in Connecticut. And by the way, all these routes to see the various mansions in Greenwich CT are easily reached from the Stanton House Inn. Curious to see inside a Greenwich mansion? You can stay at the Stanton House Inn, of course, or make a few wealthy friends. But you can also check-out YouTube! And if you’re on the market for a Greenwich Connecticut mansion for sale of your own, we’re happy to provide recommendations on Greenwich real estate experts. Did you know that you can also stay in one of the historic downtown Greenwich mansions? The Stanton House Inn offers beautiful downtown Greenwich lodging. Learn more about our boutique hotel and luxury amenities before you plan your Greenwich mansions-focused visit.